Andrew Cooper joined the civil service in 1987. He is currently deputy director for organisational development in the Strategy Directorate in Public Health England. Prior to his transfer in to PHE, Andrew was in the Department of Health working in the PHE Transition Team which led to its establishment. Before that he had spent a year on secondment in 2010/11 in the Health Protection Agency working on organisational change. 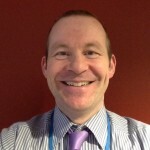 In 2009/10, Andrew was a deputy director in the NHS Pandemic Flu team led by Ian Dalton, and prior to that he was a deputy director in the Department of Health HR function from 2006-2009. Andrew is a Chartered Member of the Institute of Personnel and Development and in his spare time a School Governor at a local primary school and chair of the Civil and Public Service Artists.